It’s winter & there's no better way to double up on your dose of art than by going to the museum &, on the way, plugging in to listen to an art-focused podcast. We gathered up our favorites in case you need a guide! Ready? Press play. A Piece of Work is everything you wanted to know about modern and contemporary art but were afraid to ask. A bicycle wheel attached to a stool; a giant canvas splattered with paint; dozens of soup cans...for many museum visitors, works like these prompt a ton of questions. In this ten-episode podcast series, Abbi looks for some answers in lively conversations with curators, artists, and some friends, including Hannibal Buress, Tavi Gevinson, RuPaul, and Questlove. All the latest art reviews from art critics Edward Goldman and Hunter Drohojowska-Philp. Keep up to date on what’s hot in Los Angeles’ art scene by listening to this podcast. They are a quick, informative listen at three to five minutes tops. Artsy’s team of editors have come together to take you behind the scenes of the art world, talking everything from art history to the latest market news. I’m always surprised to hear each episode. There’s always something new to learn or an insider perspective I didn’t know about. One our personal favorites brought to you by Contemporary Art Review Los Angeles (CARLA), a quarterly print magazine and online journal dedicated to expanding critical dialogue in Los Angeles’ contemporary arts community. A new episode once a month, the CARLA podcast is broken down into three sections – Writer’s Room, LA-at-large, and Dear Carla. 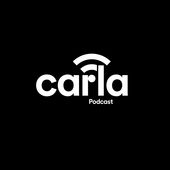 There’s no better way to get into the known than with the CARLA Podcast. Taschen makes fabulous art books and now they discuss them on Taschen Podcast with a new episode every month. Each has exciting interviews, news or behind-the-scenes insights on how these art books are made. A new episode weekly, The Modern Art Notes Podcast brings artists, art historians and authors together with Tyler Green to discuss their work. If you ever wonder how an artist made their artworks or how art historians discuss art pieces, this is the podcast for you! 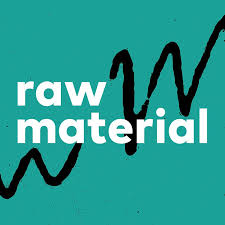 Raw Material is an arts and culture podcast from San Francisco Museum of Modern Art (SFMOMA). Each season SFMOMA partners with a podcaster-in-residence to explore modern and contemporary art through a new perspective, which brings different voices of artists and thinkers from around the globe who offer surprising views on the world through their art works. Four babes, Jen, Natalie, Ginny, and Corrie come together over wine to discuss all things visual culture. It’s like you are with four of your gurl friends telling you all what you need to know about.